I built a low-cost, high efficiency home theater PC with the brand-spanking new AM1 platform, which you can read about here DIY Budget HTPC Media Center Build and Giveaway DIY Budget HTPC Media Center Build and Giveaway We built a sub-$400 yet energy-efficient HTPC media center running Ubuntu. Now, we're giving it away. Read More . APU technology take the center within the AM1 platform, providing both a CPU and GPU in one package. AM1 components require less space and need less overhead than conventional processors from Intel and AMD. The lower wattage requirements open the door to picoPSU technology, which allows 96 percent efficient conversion of power from the wall to your computer. Furthermore, the platform offers good performance as a desktop, HTPC or even a light Steam rig, at console resolutions. However, DIYers need to know the ins-and-outs of the AM1 platform, particularly its integrated graphics (known as an APU). The heart and soul of a modern media center is its ability to push digital content to televisions. The AM1 platform’s design pushes more components onto the APU itself, allowing manufacturers to steeply discount motherboards. AM1 boards run as low as $29.99. The system also offers a lower power draw than most budget builds. The average build will require around 30 watts throughout normal operation. Its low costs, moderate performance and power efficiency make it an ideal platform for word processing, media center systems and more. 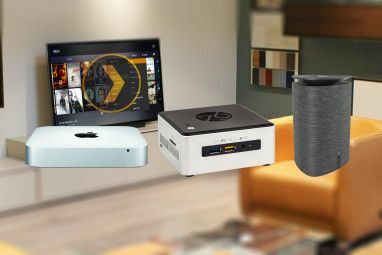 This article covers the various components, with suggestions, for building an AM1-based media center or office productivity desktop. I also showcase the AM1 platform with three sample builds. The AM1 platform specializes in a small, but efficient, number of roles. Keep in mind the following build restrictions: small form factors, limited SATA ports and limited driver availability. By design, vanilla AM1 socketed motherboards feature only two SATA III ports. This limits the roles that the AM1 platform can fulfill – for example, most media centers only need one or two SATA ports. A file server, on the other hand, might require more drives. For small mITX or mATX cases, this doesn’t present much of an issue, as limited availability of space within smaller cases prohibits more than a few drives. A few motherboards include additional SATA ports, but they use drivers which may not receive Linux support. Therefore, for better Linux compatibility, you should select a motherboard with two SATA ports and no additional frills. Otherwise you might need Windows 8. Reportedly, Windows 7 users experienced issues on certain AM1 motherboards. In a nutshell, two kinds of operating systems can install, out-the-box, with few problems: Linux, on the latest kernel (what’s going on with Ubuntu 14.04 Ubuntu Users: Here's How To Upgrade To 14.04, "Trusty Tahr" Ubuntu Users: Here's How To Upgrade To 14.04, "Trusty Tahr" Using Ubuntu? Here's how to get the latest version. Read More ?) and Windows 8 – older versions of Windows require additional drivers to properly install – many board manufacturers don’t support AM1. I would advocate Linux builds over others, although AMD’s APU Linux driver support tends to lag behind that available for Windows 8 builds. You can expect higher power consumption and heat, as a result. To some extent, users may notice some frame buffering issues when attempting to stream high definition video if using Linux and open source drivers. Fortunately, AMD makes their proprietary drivers available for download (see below). Linux/Ubuntu: For full HD playback, you should install the Catalyst Control Center, which AMD makes available through the Ubuntu Software Center. You can also download the drivers directly from AMD. I do not suggest installing the open source drivers, as they do not run as cleanly as AMD’s proprietary drivers. On the other hand, the open source drivers consume less wattage according to reports from the field. You may also need to edit configuration file in order to get full HD audio in HDMI. It wasn’t a lot of work, but you may otherwise experience audio quality issues. Windows 8: With Windows 8, playback and performance will feel seamless and you won’t even need to install additional drivers. I do suggest downloading AMD’s Catalyst Control Center, though as it will improve performance. Additionally, Windows 8’s power management drivers will improve your power consumption by several watts – and your system will run cooler, as a result. Building an AM1 platform-based PC requires a basic understanding of assembling a computer. We’ve written about building your own PC. This section covers the peculiarities of building on the AM1 platform and the individual components that you will need. As of May 2014, six AM1 APUs exist. What’s an APU, you ask? APUs combine a graphics processor (GPU) with a central processing unit (CPU). There’s synergy in this pairing: APUs require less power than stand-alone “discrete” GPUs. They also require less case space. Unlike discrete GPUs, which include soldered on memory, APUs designate a variable portion of system memory, or RAM, to the APU. Users can configure their APUs to use between 512MB of RAM to 2GB. APUs can produce better performance in many games with faster RAM. RAM Speed and Dual Channel: Unfortunately, AM1 technology doesn’t support dual-channel memory. This limits bandwidth, but overall doesn’t cause much of a reduction in performance. AM1 technology at present also maxes out at DDR3 1600MHz speeds. With these factors in consideration, you can build a solid performing AM1 system using a single stick of 4GB memory (thanks to MUO user Howard for the correction). Socketed APUs: The AM1 APUs also come “socketed”, meaning you can swap the APU for another when upgrades release. Right now, the Athlon 5350 sits at the top of the APU hierarchy, but over time AMD will likely cycle through AM1+, followed by AM2. Given AMD’s prior history, AM1+ APUs will work in AM1 sockets. They will not work in AM2 sockets – so users should receive an upgrade option in 2015. All APUs use 25 watts. AM1 motherboards come in two form factors: mini-ITX or micro-ATX. The smaller of the two, mini-ITX (mITX), differs in having only a single PCIe slot, whereas mirco-ATX (mATX) boards offer two – one slow and the other fast. To my knowledge, around a dozen AM1 boards exist, ranging in price from $30 to around $60. 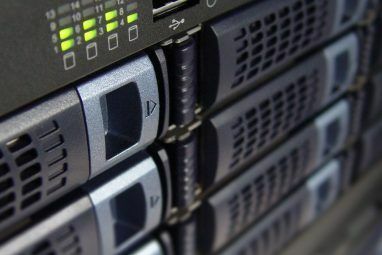 The boards differentiate from one another by adding features, such as parallel ports, mini-PCIe ports, additional SATA ports and more – however, users will experience driver compatibility issues when attempting to install Linux on boards with extra features. Regarding mATX boards, I feel that the PCIe 2.0 x16 slot offers little, since using a discrete graphics card shuts off the integrated graphics. Unless there’s a special reason, most builds receive better value from assembling using mITX, despite the slightly higher board cost. Overall, mITX boards fit in smaller cases and require less cable length to make connections. Before buying the case, make sure its height can accomadate the 65mm internal fan. Two cases, which also offer integrated picoPSUs, are the Realan E-i5 and the Realan E-i7. The E-i5 also includes room for two 2.5″ drives whereas the E-i7 can fit a slim DVD drive. I recommend the 60-watt power supply option, if you use a solid state drive. For those on mechanical drives, you may need to upgrade the power supply. Hard drives can use around 25 watts of power on boot, depending on its design. If you don’t want to use an integrated power supply, you can purchase one that matches the dimensions of your case. Case manufacturers will state the form factor, or physical dimensions, required by the case. Small form factor cases will use either picoPSU, TFX, SFX or “microATX” power supplies (there actually isn’t a form factor known as microATX, for power supplies). I should note that both TFX and SFX power supplies generally use smaller fans, which rotate as faster speeds, causing additional noise. The best unit, in terms of price, remains the picoPSU. Remember the following rules for picoPSUs: They use limited, and varying, kinds of connectors. If a picoPSU doesn’t have the required connectors, you will need to purchase a splitter or adapter. Air Mice: I highly recommend getting a media center remote control — my favorite: an Air Mouse. It allows control over your mouse through accelerometers. Movement from the hand holding the remote also moves the on-screen cursor. Also, you might want to consider a USB or PCIe wireless card. However, keep in mind that low-profile cases will require low-profile PCIe cards. Infrared Remote: IR remotes use the infrared spectrum to send commands to your television. They require an IR receiver, which can either integrate into a compatible case or work from a USB dongle. IR remotes sometimes offer “universal” compatibility, meaning they can control a television set and your HTPC. They also don’t suffer from the same bandwidth limitations as WiFi-operated remotes. On the downside, they don’t feel nearly as good as an Air Mouse. Dual-band WiFi Adapter: If your machine principally streams video content, check to see if your wireless router offers dual-band support. What’s a dual-band wireless router How Dual-Band Routers Can Solve Your Wireless Woes How Dual-Band Routers Can Solve Your Wireless Woes Using a router that supports the dual-band standard can significantly boost your Wi-Fi speeds in many circumstances. Read More ? In short, it helps stream content at faster speeds, with far less interference. First, make sure you’ve read up on how to build a computer. I won’t go into the minutiae of PC building. The build process for the AM1 platform doesn’t differ in any major respect from others. Aside from a departure from AMD’s CPU clamp, putting an AM1 PC together requires no special knowledge. I’ll briefly explain the major departure. The AM1 socket (which is a rebranded FS1b socket) has more in common with Intel’s LGA1150 socket than AMD’s. It uses two spring-loaded push-pins. Essentially, you clip the heatsink-fan combo onto two plastic guide-posts. Then you position the heat sink/fan combination over the CPU socket, lining up the guide posts with the holes on the motherboard. The spring-loaded, plastic guide posts require a little bit of force to insert into the holes on the heat sink. Make sure you’ve aligned the handles of the guide posts with the heat sink as they won’t fit through the holes on the motherboard. Then push the guide posts through the holes on the motherboard, surrounding the APU socket. Once they are pushed all the way through, insert the longer pins through the center of the guide posts, which will lock the heat sink into place. There’s two of these, so make sure you do one at a time. You won’t need to do much in the BIOS/UEFI (referred to as UEFI). Simply load the optimized default, set a RAM profile and then designated the amount of RAM you want to use as a complement to your APU. Then save and exit. You may end up needing to configure the CMS settings (for compatibility purposes), to “Other OS” rather than “Windows 8”, if you are doing a Linux build. I put together three sample builds for those wanting to build one of three stereotypical models: A ultra low-cost Linux streaming HTPC, a “deluxe” Linux HTPC and an eco-friendly Windows 8 streaming HTPC, desktop and light Steam Box. This particular model leverages the low build costs of the AM1 platform and the dual core Sempron 2650 APU. However, for just a few dollars more, builders can swap in the quad core Sempron 3850, with a higher rated integrated GPU (which I suggest doing). While it’s not as energy efficient as its brethren, because of its actively cooled power supply, it still offers very low power consumption. Even though I refer to this example as a “deluxe” model, in truth, it’s decidedly a low budget build. I also included an Air Mouse, which work great as media center mice/keyboards, a USB dual-band wireless adapter and a slim DVD drive for use with the slightly larger Realan E-i7 HTPC case, which includes a slim DVD slot. While the total cost hovers around $400, you get aesthetic quality, wattage efficiency and portability. I specifically left Blu-Ray compatibility out as it adds a ridiculous amount of overhead. But it should do pretty much everything required of a media center, including DVD playback, game emulation and light Steam or Desura gaming. This particular build goes for the lowest possible wattage. It uses a solid state drive (what’s an SSD? How Do Solid-State Drives Work? How Do Solid-State Drives Work? In this article, you'll learn exactly what SSDs are, how SSDs actually work and operate, why SSDs are so useful, and the one major downside to SSDs. Read More ) and Windows 8, as Windows 8’s drivers incur less drain than the Linux drivers. The ASUS board allows undervolting – referred to as “Voltage Offset” in the ASUS board’s UEFI/BIOS. It also uses a 96 percent efficient power supply. It should use somewhere between 15 and 25 watts. Considering this is a lower wattage build, you could consider using low-voltage RAM. However, low voltage RAM doesn’t actually save much in total wattage. And it could potentially cause an issue combined with an AM1 motherboard, which reportedly suffers from finicky RAM compatibility. In my build, the AM1 platform offers the right combination of Linux compatibility, power efficiency and affordability. 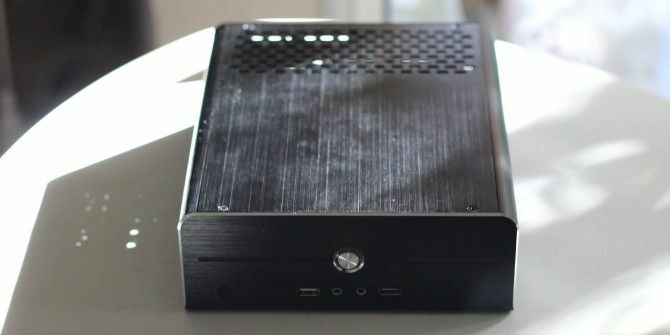 With Ubuntu 14.04 LTS, you can also build a great HTPC for less than $200. I wouldn’t recommend spending more than $300 (or $400 if you go for a Windows license), but for anyone wanting either an Ubuntu media center or productivity oriented desktop, consider building with the AM1 platform. Explore more about: Home Theater, Media Player, Media Server. I have built two of these, however I am having an issue getting any of my Mini PCIE half wifi cards to work. I am having a bigger issue finding a compatibility list. I'm assuming wifi cards pulled from laptop's should work in this particular setup??? I have one that succesfully took the drivers but refuses to look for or pick up any of my networks? I am truly at a loss here...does anyone know were I could at least find a compatibility list of Mini PCIE half cards that will work? Many mini PCIe cards use proprietary drivers. However, because these are also commonly used in laptops and laptops receive a lot of Linux support, you can oftentimes enable them by enabling proprietary drivers. After you enable proprietary drivers, with any luck, you'll notice that your WiFi card's drivers are available. In the many Linux builds, I've had no problems getting it working with proprietary drivers. Can you provide the dimension for the stock cooler that comes with the APU? I'm planning to build an HTPC using the Athlon 5350 and using the Cooler Master Mini 110 casing, which has a maximum CPU Cooler height of 55mm. Hello Lid, according to what I read, the 5350 has a 39mm height. Pretty much all the AM1 APUs use really small dimensions so they can fit in almost any case. The cooler is tiny and if for some reason you don't have enough room you you may be able to remove the fan and let it passively cool as long as your not maxing out the cpu. "the devs (Debian) tend to exemplify the the worst stereotypes of the FOSS community"
I have been using Debian-based distros for close to 15 years now and never ran into any problems with the devs. In fact, I have found them to be quite user-friendly and accomodating. Must be a personal thing. "truthfully the easiest thing to do as far as Linux distros is to figure out what Window Management system suits you best and work from there." From what I understand, some distros have a better implementation of a DE than others. For example, I heard that Mageia implemnts KDE better than Debian-based distros. With close to 300 distros on the DistroWatch list, aren't there any distros that are specifically designed for home theaters? Why use a general purpose distro like Ubuntu 14.04? As you pointed out, there's a lot of distros out there, but Ubuntu 14.04 was the easiest to deploy and get software for. I had tried about a half-dozen Linux flavors (Lubuntu, OpenELEC and more), but I have a serious Ubuntu addiction. I just keep coming back to it, no matter how badly it treats me. I have been debating over the last year whether or not to abandon Ubuntu for their ties to Amazon, who are likely part of the illegal surveillance program on Americans. Oh and I also tried XBMC buntu (or whatever its name is), but it wouldn't install properly. :-( Perhaps the latest nightly would? "Do you have any recommendations?" I have my own reasons for staying away from Ubuntu and derivatives. I've been using SimplyMEPIS almost since its inception but it looks like it has gone dormant since 2011. I have also played with antiX, siduction and MX-14. MX-14 is a collaboration between the Mepis and antiX communities, with anticapitalista (developer of antiX) taking the overall charge. I like MX-14, siduction and antiX because they are highly configurable, unlike *buntus and derivatives. Since I am not into HTPC, multimedia thing, I don't know how those three distros would workout for you. Personally I like OpenSuSE. I have a longstanding dislike of debian and debian-derived Linux distros (the devs tend to exemplify the the worst stereotypes of the FOSS community), but truthfully the easiest thing to do as far as Linux distros is to figure out what Window Management system suits you best and work from there. Lots of people like Mint better than standard Ubuntu, for example. 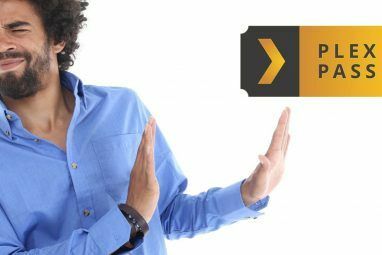 You're almost certainly going to wind up using XBMC for home theater PC duty, and that will run on pretty much anything. I really wish I could source an ITX-size board with a set of standard PC ports and a high end ARM CPU. "nfortunately, AM1 technology doesn’t support dual-channel RAM – therefore, the bus speed is limited to single channel, or half the advertised speed of the RAM. AM1 technology at present also maxes out at DDR3 1600MHz speeds." Dual-channel has *nothing* to do with RAM speeds; it's whether or not the memory controller can access paired RAM sticks simultaneously, doubling the bit width per access (128 bits vs 64 bits). Howard, I owe you one! I've been making this mistake for years. I had confused DDR with dual-channel. Thanks for the correction! I'll edit that in. Which Mac Makes the Best Server?